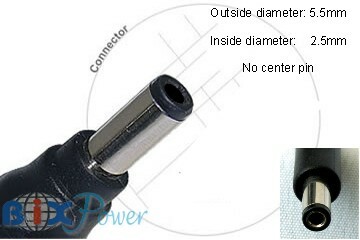 The Z6 DC Power Cable has a straight 5.5x 2.5mm male connector on one end and a right angle 5.5 x 2.5mm male connector on the other end. It is can be used as a power output cable for our external batteries, such as the AP90, BP90, BP150, BP160, and BP220. Its length is 1000mm, or around 40 inches. This cable has a ferrite filter on the cable to improve the current around the magnetic fields, filter out the noise signal, and avoid interference from the outside world.